Medium: 144 b/w (most full-page) illustrations. Size (in cm): 4to: 30.5 x 21.5 cm. Size (in inch): 4to: 12.02 x 8.47 inch. 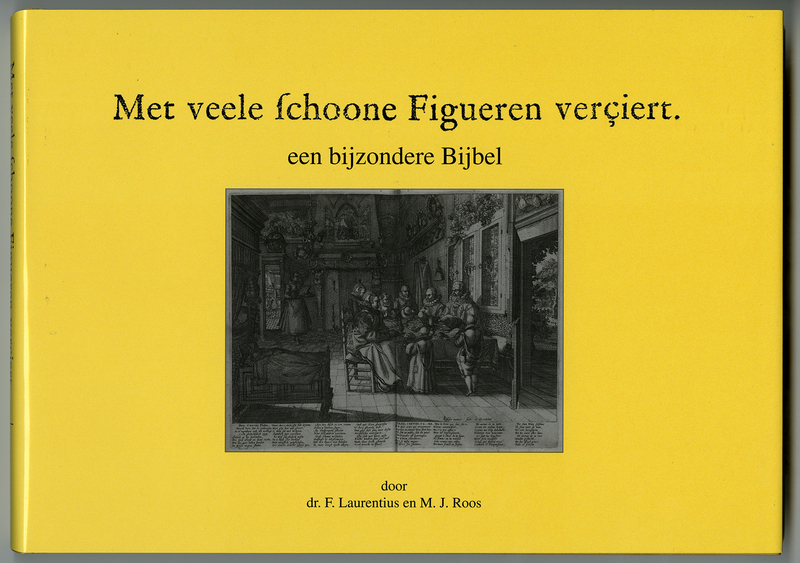 Antique Book, titled: 'Met veele schoone Figueren verciert, een bijzondere bijbel', by: Dr. F. Laurentius & M. J. Roos. ('Decorated with Many Fine Figures, a special Bible'). This book deals with a very special copy of the Statenbible, going into detail on the illustrations and publication history. Publication for the 375 year anniversary of the publication of the Statenbible. (Text in Dutch, summary in English). Artists and Engravers: Author(s): Dr. F. Laurentius & M. J. Roos.